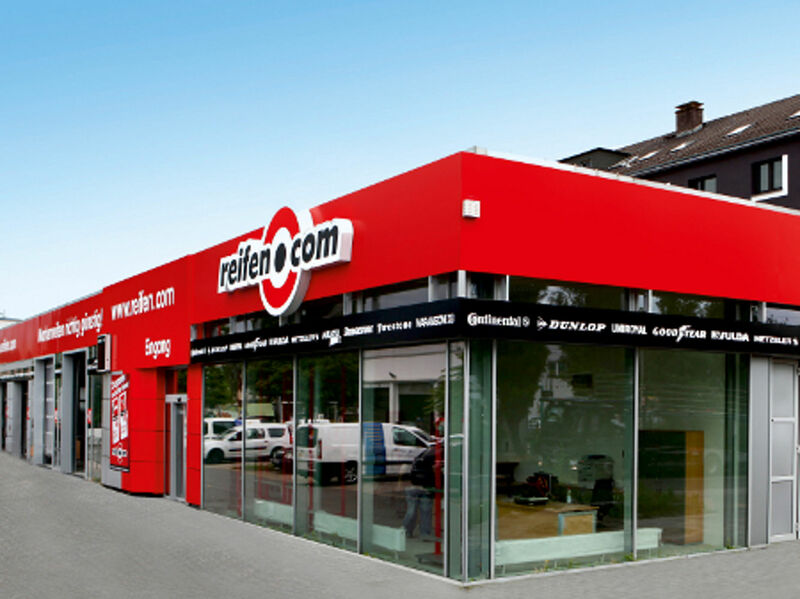 As a tyre trader the reifencom GmbH has numerous branches. One of them is in Frankfurt’s district Fechenheim. The branch is divided into two parts: The workshop and the sales area. Two salespersons assist you helpingly at all times and show the great rim exhibition to you in the sales area. This exhibition displays 80 rims for inspection and sale. 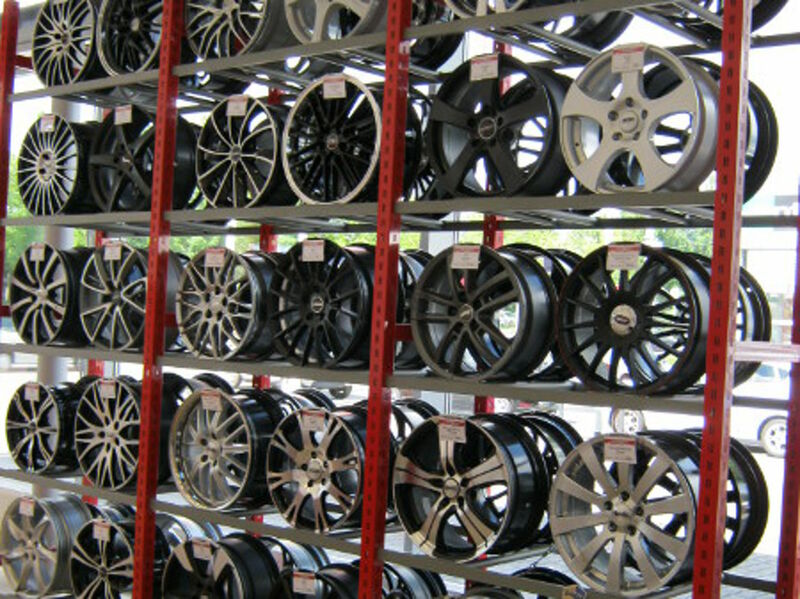 In the sales area you cannot only purchase rims and tyres, but also assign the wheel storage. Up to 1,000 sets of wheels have space in our warehouse. The heart of our reifen.com branch in Frankfurt-Fechenheim is in the workshop area. 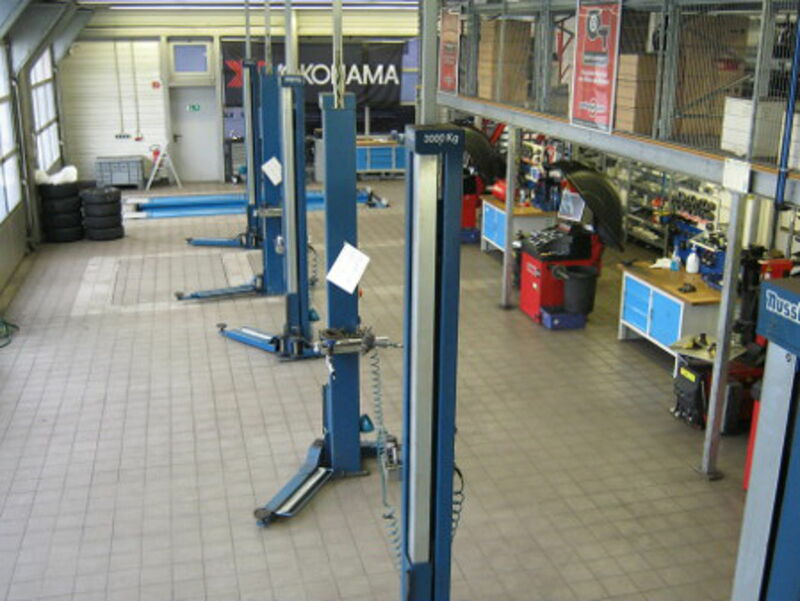 Three fitters operate the three lifting platforms, the wheel alignment platform as well as the motorcycle platform on which we also mount and dismount motorcycle tyres, of course. 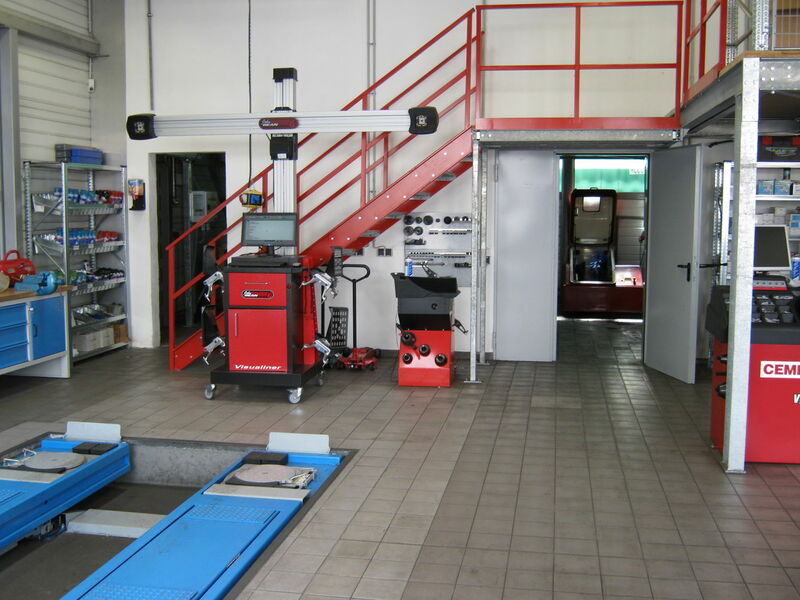 Our staff are experienced tyre fitters who are perfectly prepared for every challenge due to numerous intern trainings. At the same time they undergo further training to be able to introduce and explain the newest tyre models and techniques (e.g. TPMS) to you. We want you to feel well at our place. For this reason we attach great importance to an individual consultation during which the tyres and rims are matched to your needs. This applies to tyres as well as rims out of steel and aluminium. We suggest you to make an appointment for the tyre fitting. This especially applies if a tyre registration is necessary at the same time. For this we coordinate ourselves with the TÜV (German MOT) who sends an inspector to our branch at the arranged appointment. You find the reifencom GmbH in Frankfurt in the industrial park in Fechenheim. 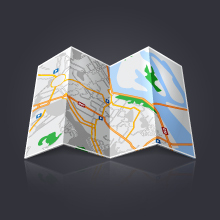 It is directly at the federal highway B8, only a few meters away from the stop Dieselstraße. Coming from Offenbach, you can take the federal highway B661 and turn into Hanauer Landstraße. Of course you can also make an appointment with us today via email or phone. Or you can come to our reifen.com branch and get an impression of our working method. We are looking forward to your visit! 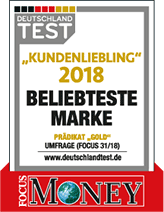 Note: You can find a further branch of reifencom GmbH in Frankfurt Bockenheim.